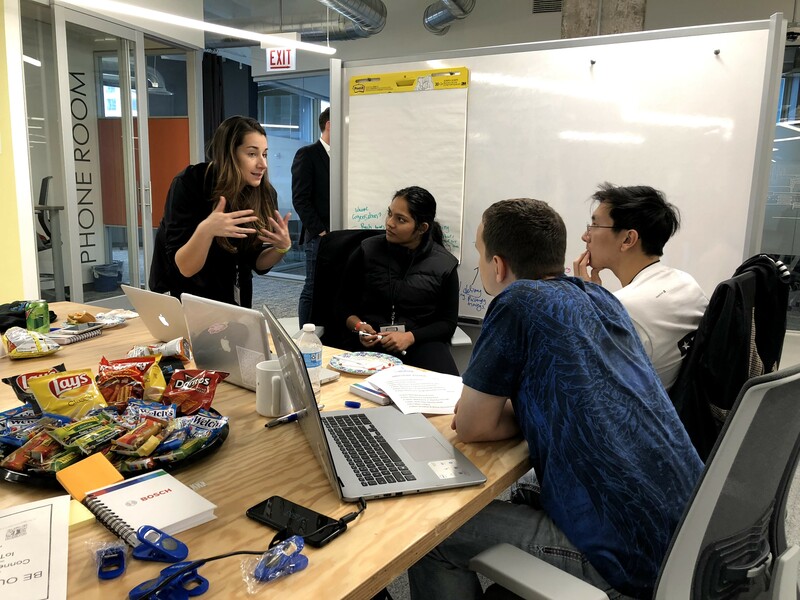 The Chicago Connectory hosted the second edition of a mobility hackathon on Friday, October 19 and Saturday, October 20. Promoted by Bosch and KPMG (an audit, tax and advisory firm), students from various universities developed business models and pitches which were presented to local judges. 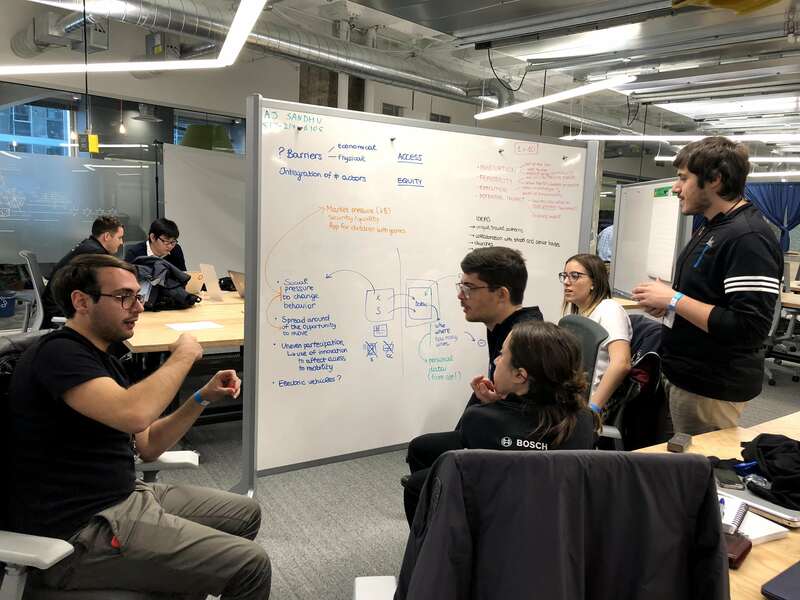 The hackathon challenge was to change the way Chicago moves by creating a solution that reduces pollution, reduces congestion, increases mobility for low income neighborhoods and optimizes the flow of multi-modal travel options. 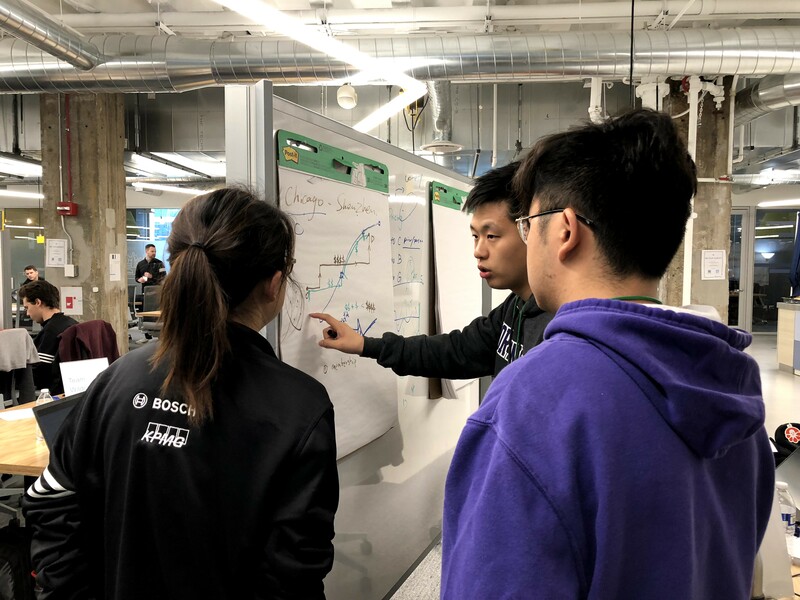 During the 26-hour hackathon, approximately 40 students broke into 11 groups and used their skills to develop an idea for the challenge. The groups were coached by representatives from Bosch and KPMG. In the end, there were three winners: Best overall idea, best pitch and best execution. 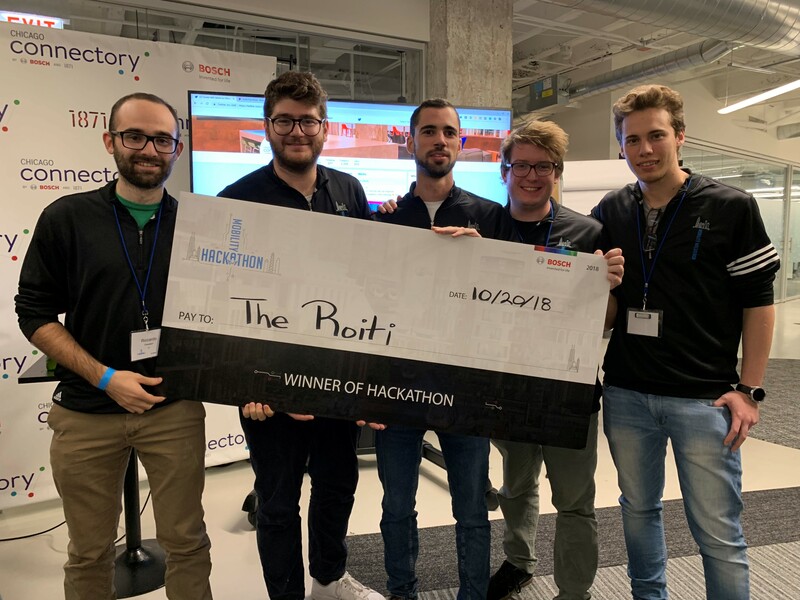 Best overall – The Roiti team won $1,000 for each team member and received a three-month Connectory membership for their pitch, “Feel Your City”. It consisted of implementing sensors in train and Divvy bikes to collect data like GPS information, movement and CO2. 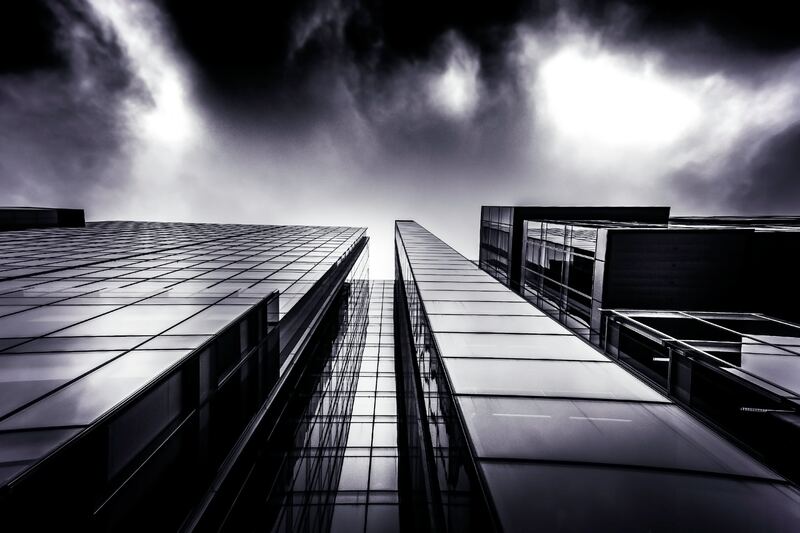 This data can be used to improve things like pollution levels and road conditions in the future. Best execution – AMBER’s pitch focused on free rides for underprivileged patients in low income neighborhoods to doctors and hospitals when necessary. These rides would be insured or paid as administrative cost by doctors. Best pitch – The Wildcats team proposed “2TheRescue”, an app that notifies weather and climate disasters. They integrated existing tools, such as Facebook crisis response and FEMA alerts to help with rescue, evacuation and crisis control. The pitches from the remaining teams included several ideas such as, software for public transportation to improve control of people and quality, apps specific to the elderly population, alternative transportation to improve the congestion in rush time, sensors to collect data from noise and air pollution and much more. “As a judge, I thought they were really good presentations with interesting ideas and diverse ways of presenting. But we can see that all teams put a lot of work and effort on their projects and their pitches,” said Judi Spaletto. The students from the Wildcats team said that until the middle of the night, they had no idea what to do. Beth Bond thought the hackathon was a success!